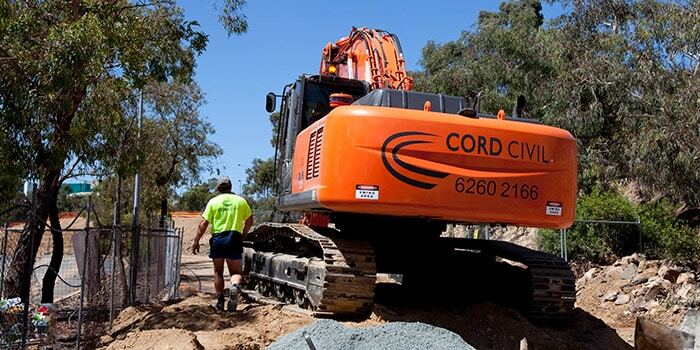 Cord Civil carried out major intersection upgrade works at the intersection of Baldwin Drive and Maribyrnong Avenue Kaleen. The project involved traffic management, the widening of Baldwin Dr to accommodate an entrance to the new subdivision of Lawson. 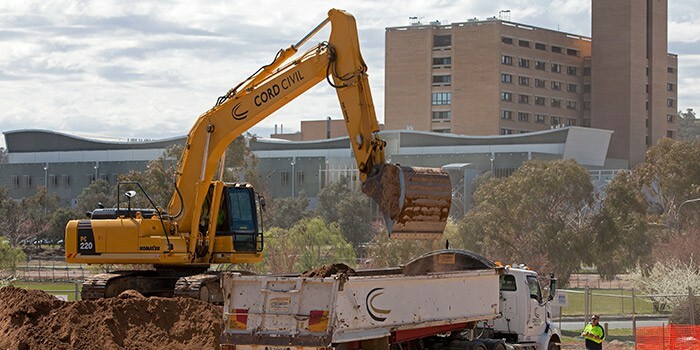 Services including watermain, high pressure gas and electricity were required to be moved or relocated – followed by deeplift asphalting and the installation of traffic lights. 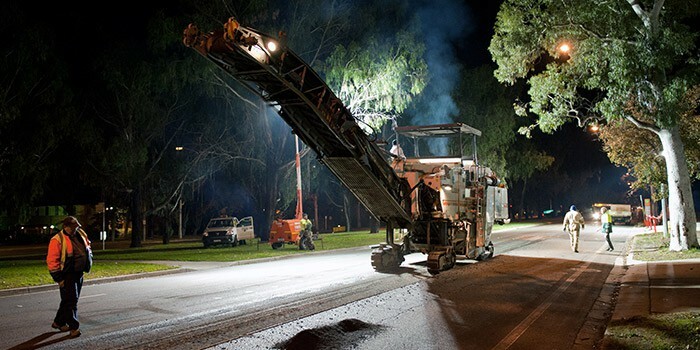 Cord Civil completed pavement rehabilitation works on Canberra’s premier arterial road – Northbourne Ave. The works included milling of the existing pavement, heavy deep lift patching, kerb replacement, placing of asphalt to design and pavement marking. 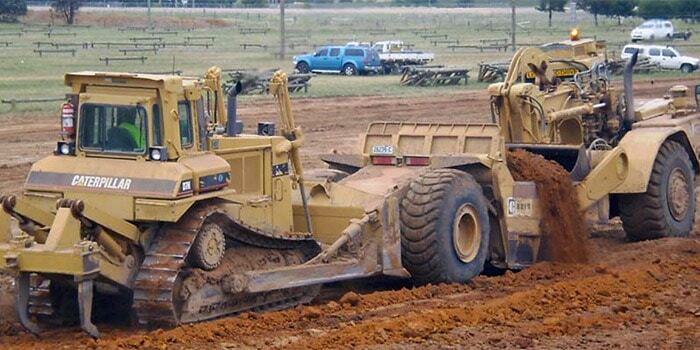 There was in excess of 3000 tonnes of asphalt laid throughout the project. This project involved major traffic management while the works were being undertaken at night to aid traffic flows and pedestrian safety.. In late February 2010 Cord Civil was awarded an 18 block subdivision in Braidwood. 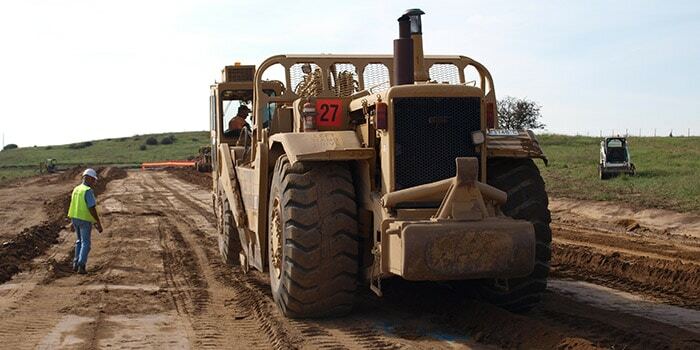 The project involved the installation of gravity sewer mains, stormwater drainage, watermain and pavement construction. 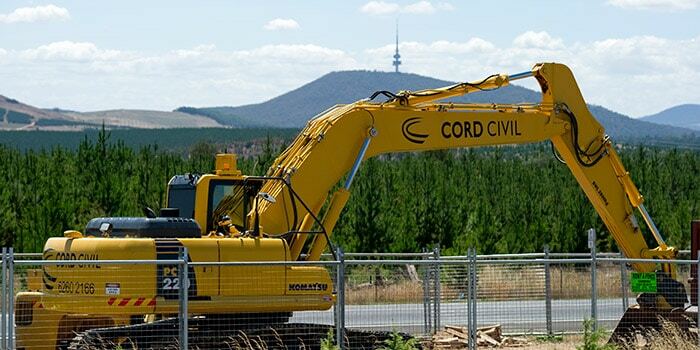 Cord Civil was awarded an ACT Government contract in 2010 for the first stage of works for the new suburb of Coombs Wright. 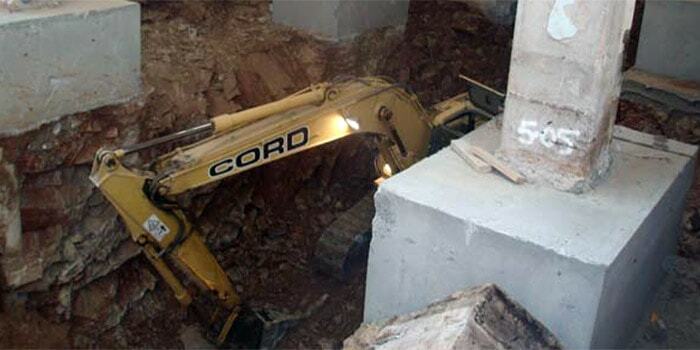 These works included 2.5 km of 225mm watermain construction. 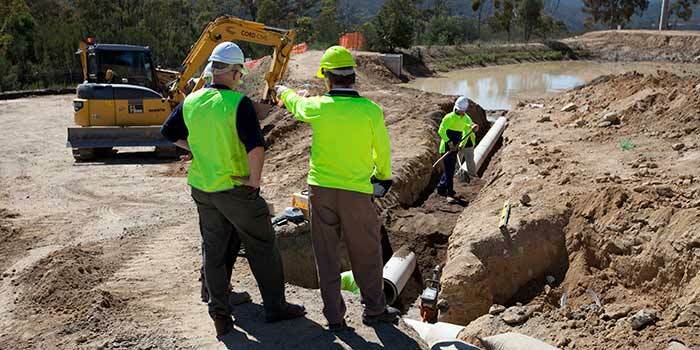 The pipe line runs up Uriarra Rd along the Cotter Rd and into the suburb of Duffy. 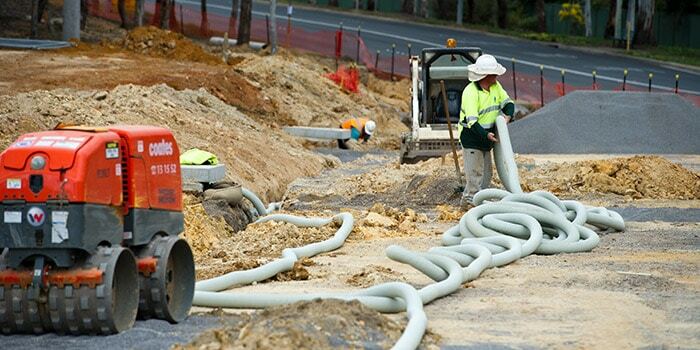 As part of the 2010 Westfield Belconnen redevelopment Cord Civil was awarded the stormwater drainage package. 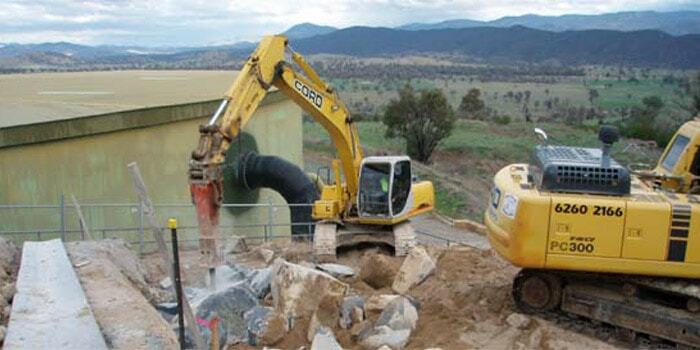 This work included twin 1050 diameter and 1500 diameter stormwater pipes and five special structures. 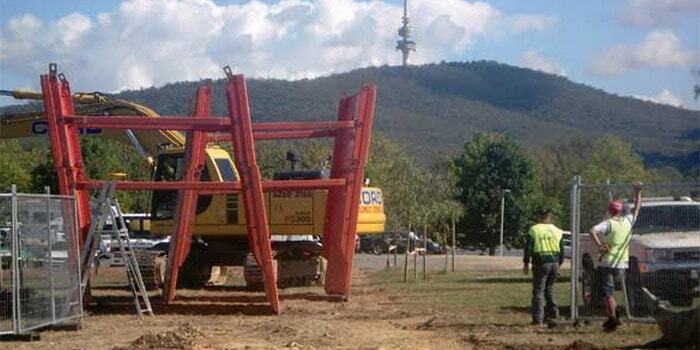 In October 2009 Cord Civil was awarded the contract to design and construct civil construction works at Googong Dam. These works also involved an extensive design stage. 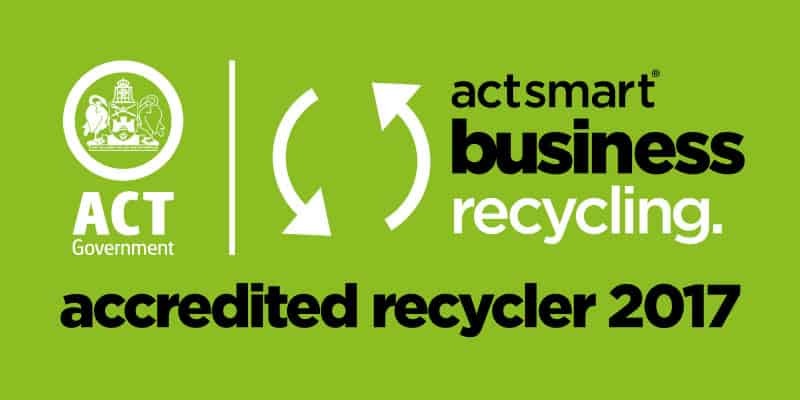 The design brief for this project was to allow greater flows of the waste product (this is a result of the purification process) to be sent from the plant to the drying beds via a network of pipes. The brief also included the design and implementation of stormwater drainage, kerbs and road pavement. 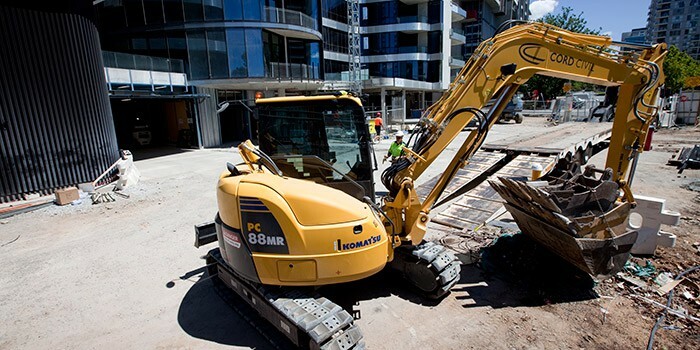 Subcontractor – Construction Control is the Head Contractor.